Can you believe it? 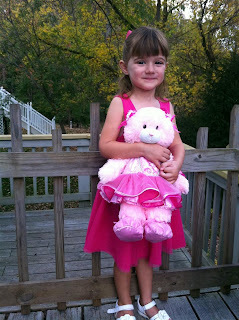 Alyce is 4 years old! It seems like only yesterday that our little girl was brought into the world and now sleeping in the room down the hall is a 4 year old girl that is pretty much self sufficient. A lot can happen in 4 years. For the past few weeks the anticipation of turning 4 has been building. It reached a fever pitch this weekend. 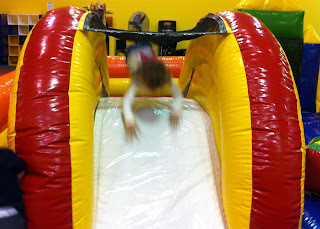 We had a birthday party for her on Sunday and a trip to Monkey Joe's today. The party was at Gram's and Papa's house as our apartment is a little small for hosting parties. GiGi, Onermark Grams, Trent Lisa & Shelby, Uncle Scott, Jeff Liz & Abby, Aunt Jean, and Aunt Sue were all there. After dinner and before the cake Alyce opened her presents. Another aspect of her getting older is that she no longer needs us to help with the opening of presents. 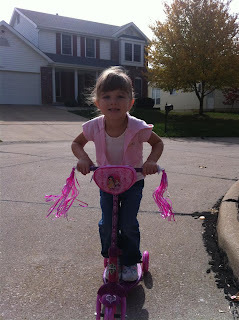 Alyce got a lot of great gifts but the most liked was the one Mom and I picked up for her, a princess scooter. Alyce has been eying scooters for quite some time. Her friend Zack from down the street has one that Alyce has used and she's pointed them out the few times we've been to Toys R Us. We've been holding on to it for quite some time and there has even been a close call or two where Alyce could have seen it. 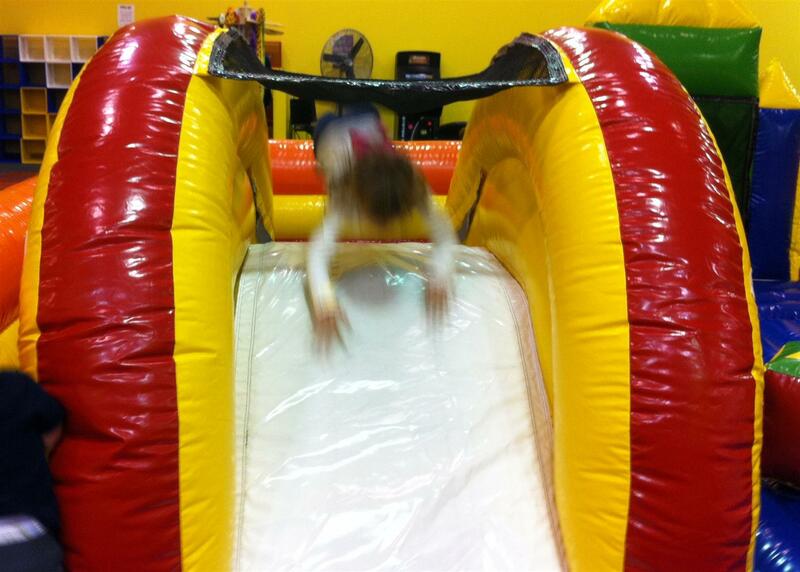 Tonight Alyce and Luke took a trip to Monkey Joe's for a bouncing good time. Wednesday night is definitely the time to go as we had the whole place to ourselves. Towards the end a few families filtered in with Alyce making friends with one of the girls. Sadly they became friends about 5 minutes before we needed to leave. 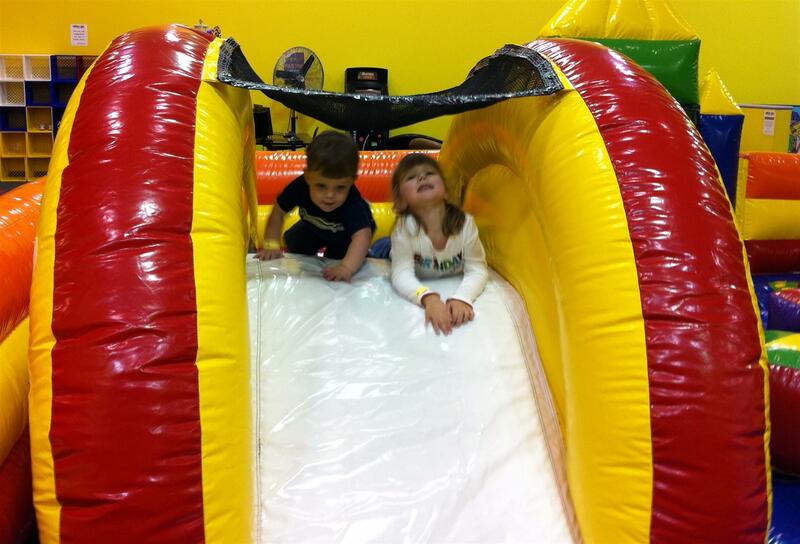 Alyce and this girl kept riding the slide over and over again. When it was time for Alyce to leave they shared a hug that melted our heart. Following Monkey Joe's we met up with Josh, Tammy, and Gideon for burgers and ice cream at Culvers. One funny part about the time leading up to Alyce's birthday was that she kept getting confused on how old she would be after her birthday. Instead of saying the word four she would just hold up her hand showing four fingers and asking if she was going to be this many on her birthday. After we'd tell her that yes she would be four she would then hold up five fingers and say "am I going to be this many after my birthday?". I think by the time her birthday rolled around she finally figured it all out because when we asked her how old she was she'd very proudly say "four!". 0 comments on "Alyce is This Many"